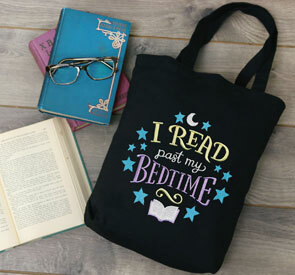 Tote bags are essential for trips to the farmer's market, the library, and for toting around coloring books and crafty supplies. 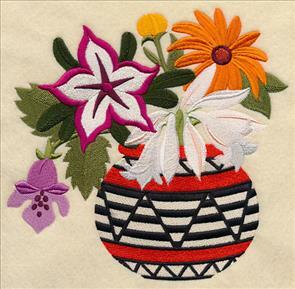 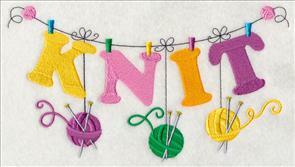 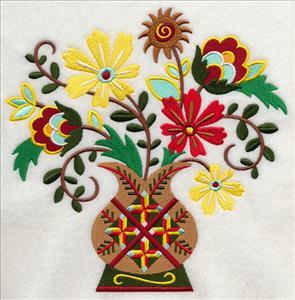 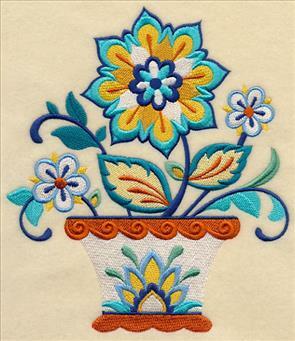 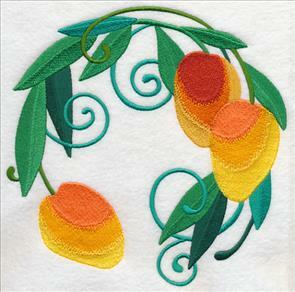 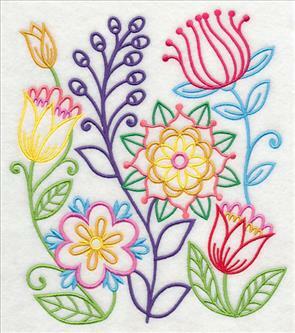 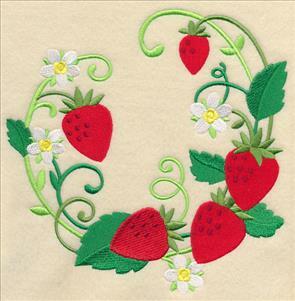 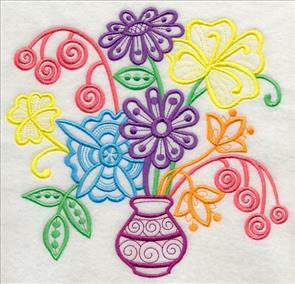 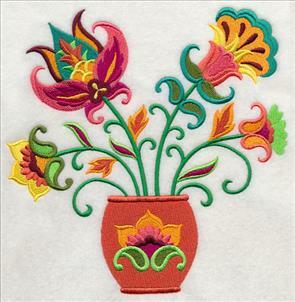 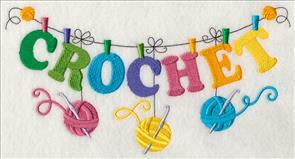 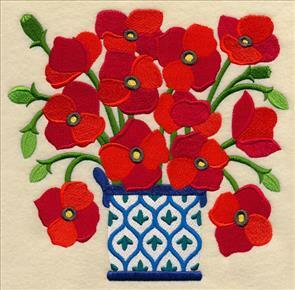 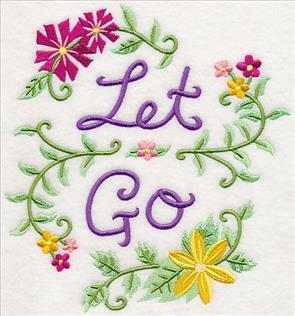 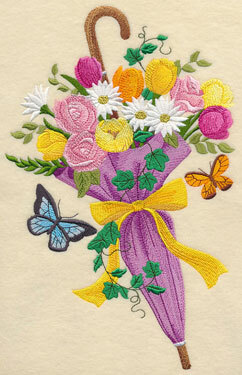 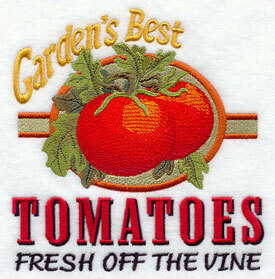 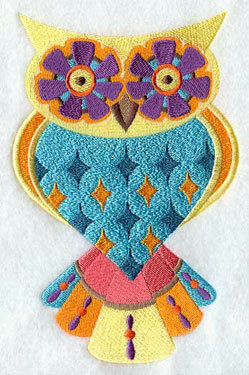 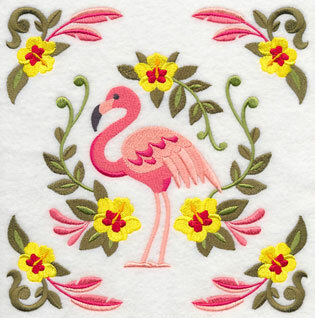 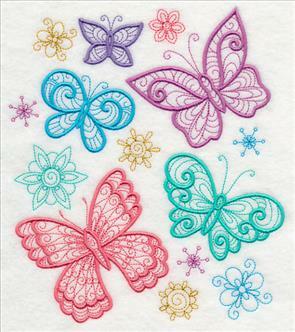 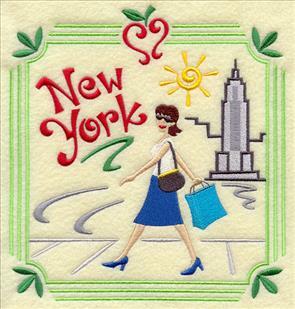 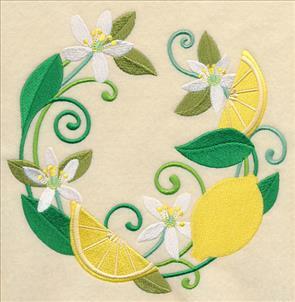 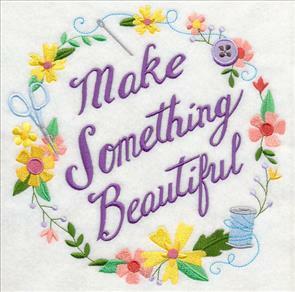 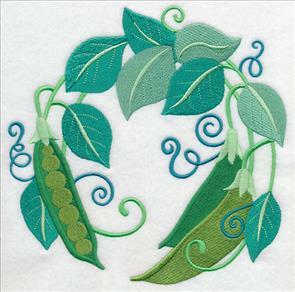 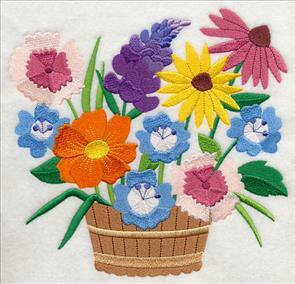 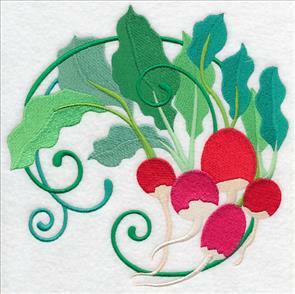 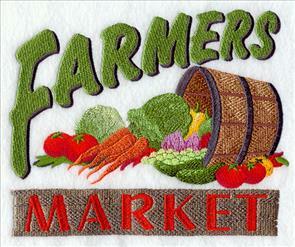 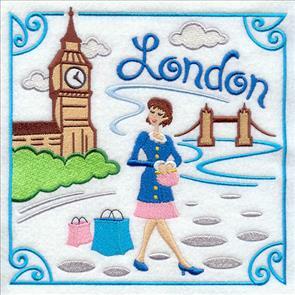 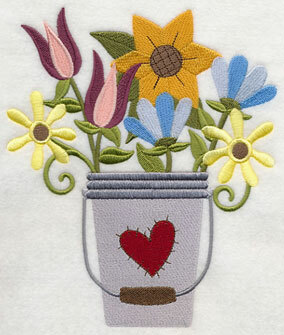 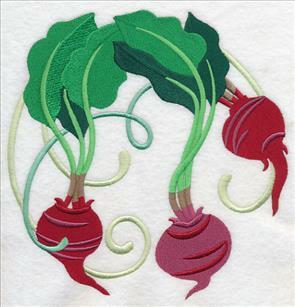 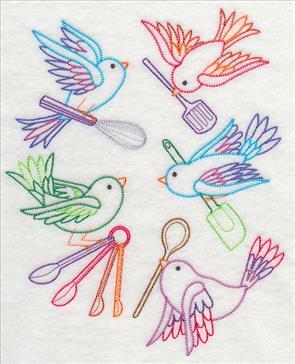 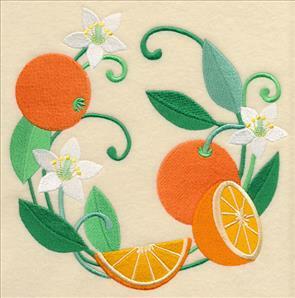 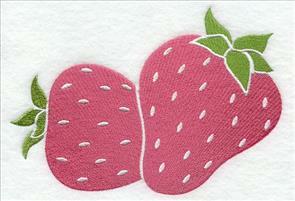 New machine embroidery designs bring a bright and colorful look to your tote bags. 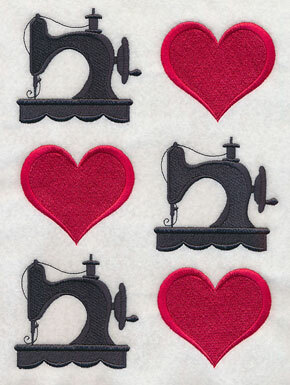 Add them to blanks, or use one of the free tutorials featured in the new Lookbook as inspiration! 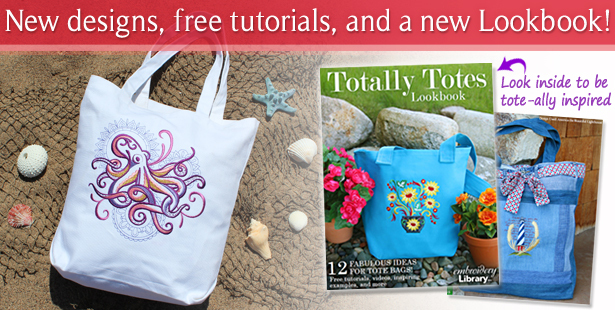 Scroll down the page to find hundreds of designs perfect for totes! 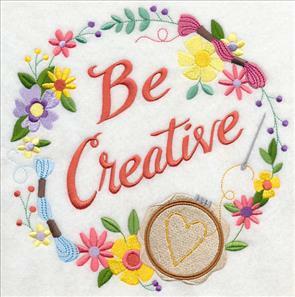 The new Lookbook can be read right here, and it's filled inspiring ideas and links to tutorials. 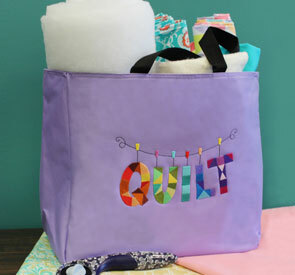 And, a new video shows each of the steps for making a classic, roomy tote bag. 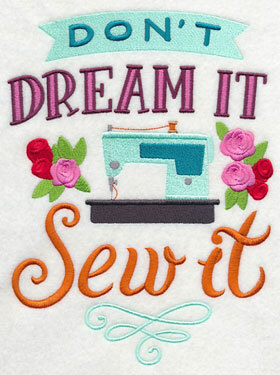 It's all right here - new designs, free projects, inspiring ideas, and video tutorials! 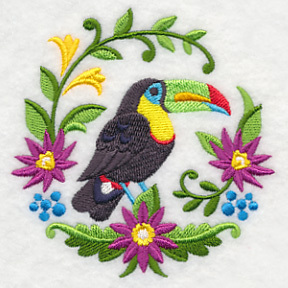 Who can add a toucan to a tote bag? 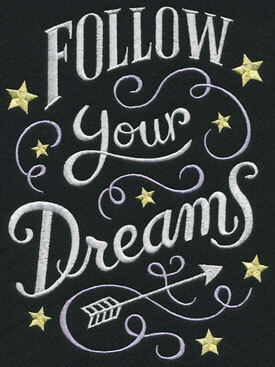 You can! 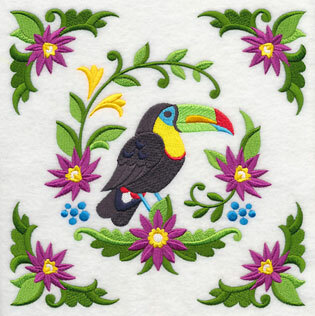 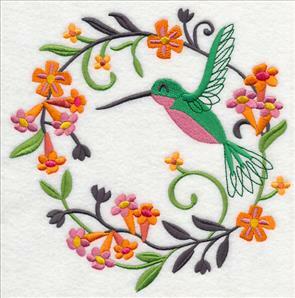 In this design, the colorful bird is wreathed in flowers. 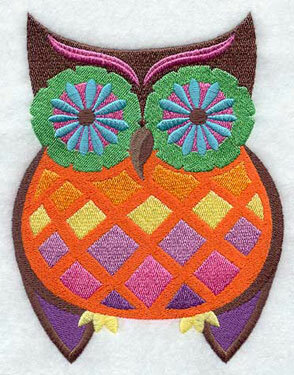 It's an eye-catching addition to bags, as well as pillow covers. 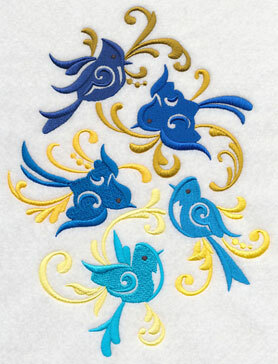 7.76" x 7.78" and 6.88" x 6.90"
Shake your tail feathers! 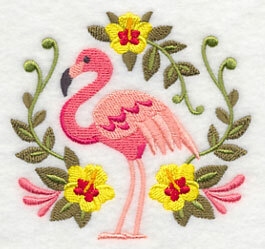 A flamingo is wreathed in hibiscus flowers. 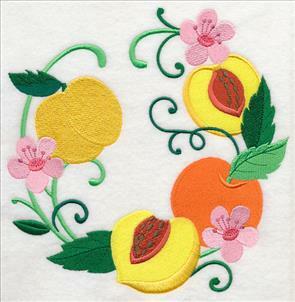 Olive, pink, and yellow hues bring a blend of retro and vibrant styles. 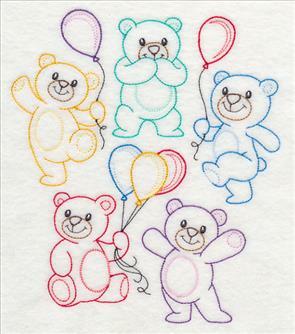 It'll "pop" from dark denim, and shine from lighter colors, too. 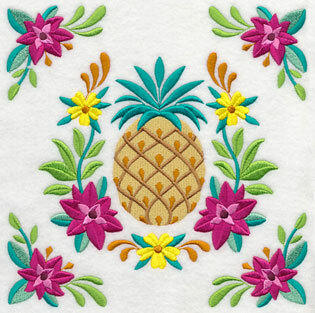 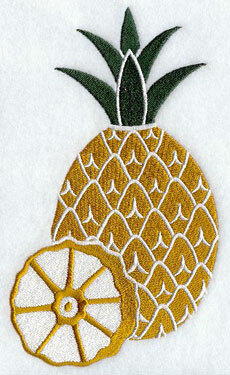 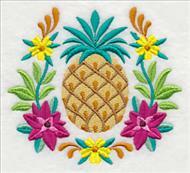 7.80" x 7.82" and 6.90" x 6.92"
Add a sweet and tasty look to tote bags with this tropical pineapple design. 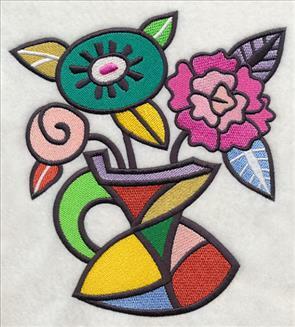 It's encased in colorful flowers. 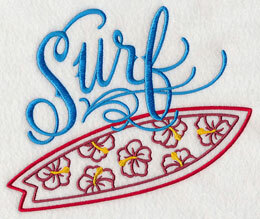 Taking a trip to Hawaii, or the Caribbean? 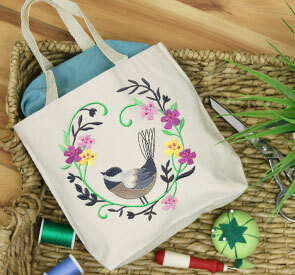 A tote embellished with this motif makes an excellent carry-on bag. 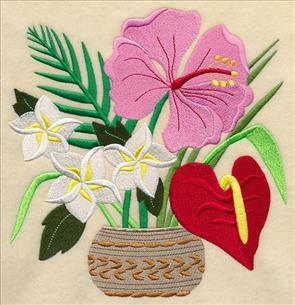 7.80" x 7.75" and 6.93" x 6.89"
The hibiscus flower is an excellent sign of warm, sunny days. 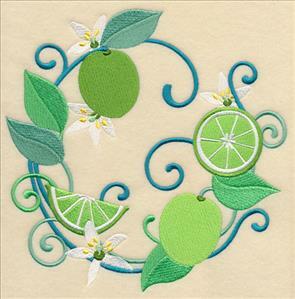 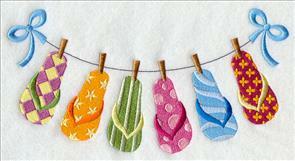 Add this splash of summer to beach bags, throw pillows, and chair back covers for the patio! 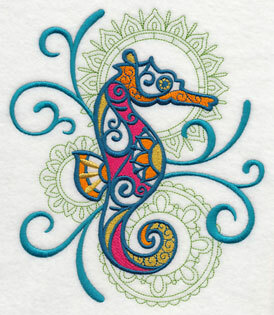 7.69" x 7.78" and 6.87" x 6.95"
Colorful sea creatures are framed against a backdrop of geometric Mehndi elements. 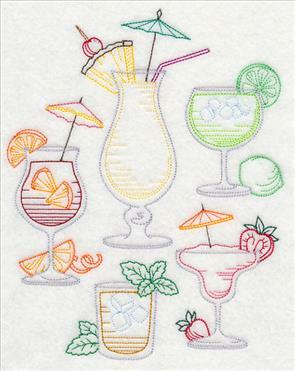 The background elements are running stitches, so these designs will be excellent on smooth fabric, like lightweight canvas, linen, and denim. 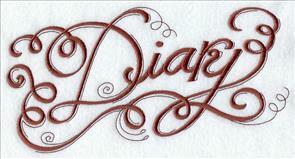 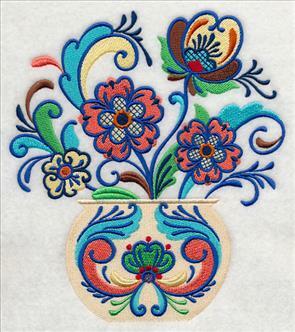 7.82" x 7.75" and 6.91" x 6.85"
6.79" x 7.80" and 5.86" x 6.73" and 4.87" x 5.58"
These designs use a beautiful variety of stitch types. 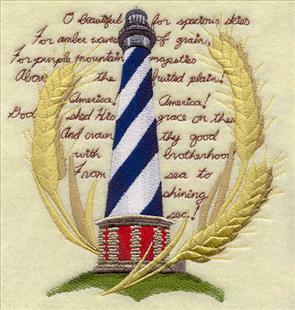 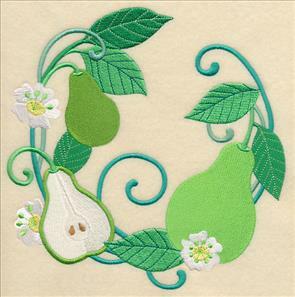 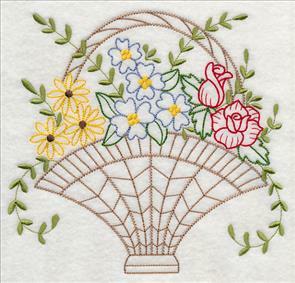 In the image show here, you can see the lightness of the running stitch background contrasting with the slightly raised satin and fill stitches. 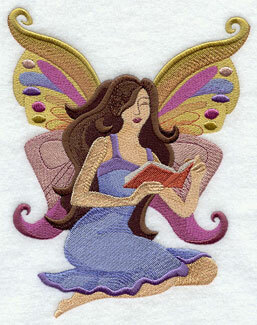 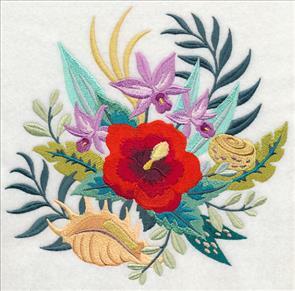 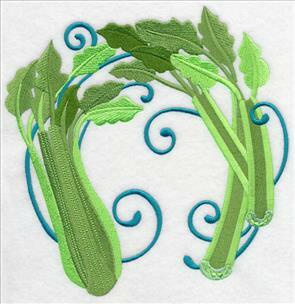 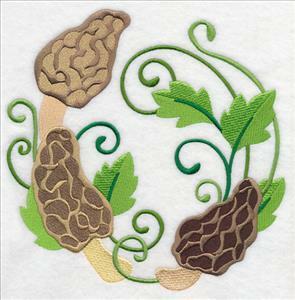 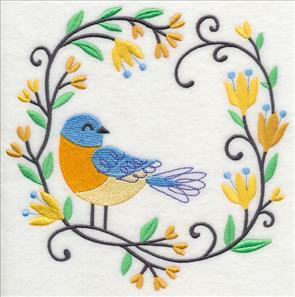 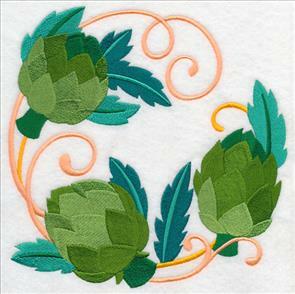 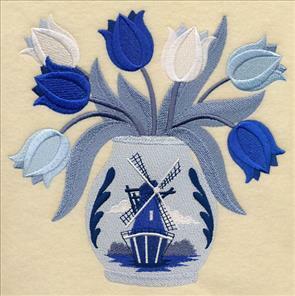 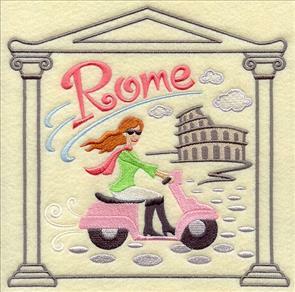 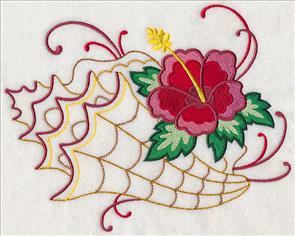 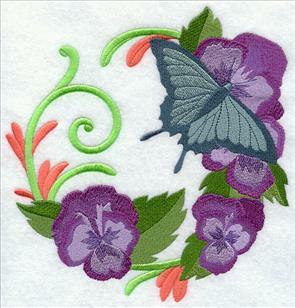 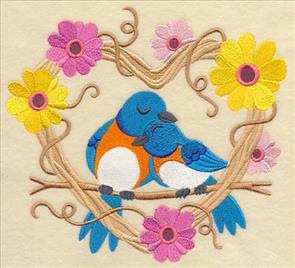 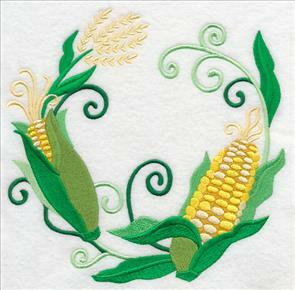 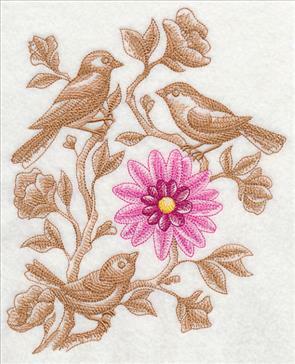 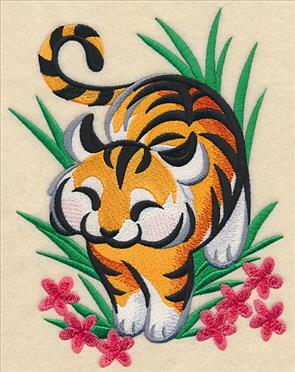 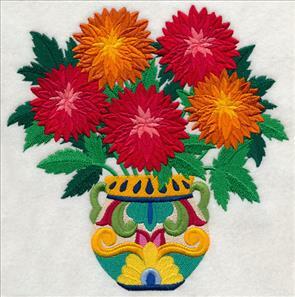 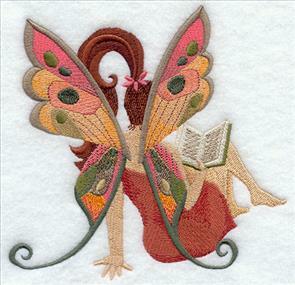 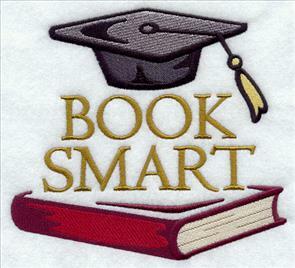 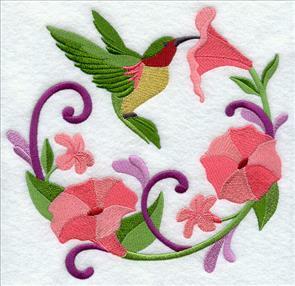 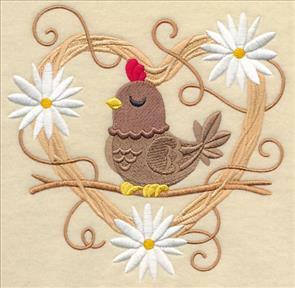 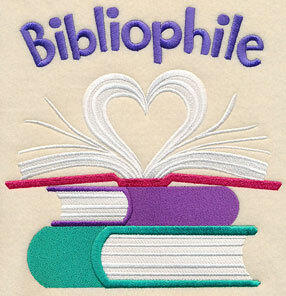 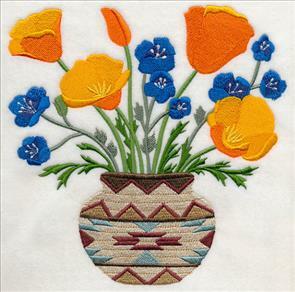 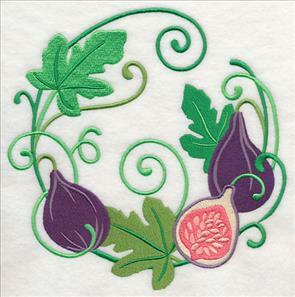 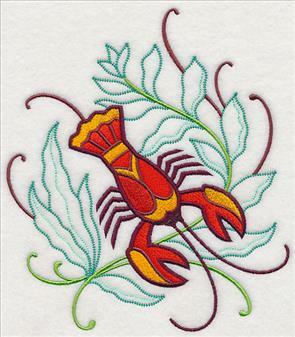 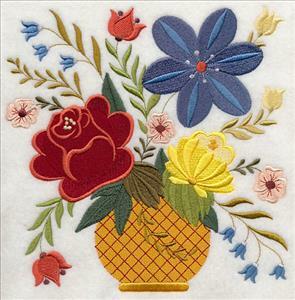 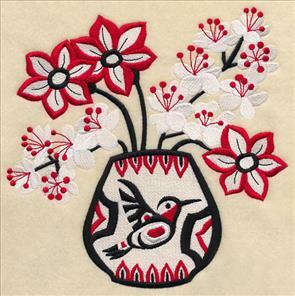 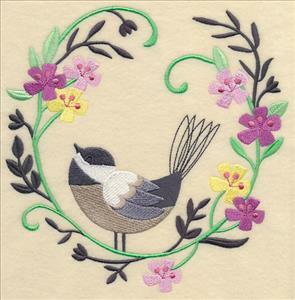 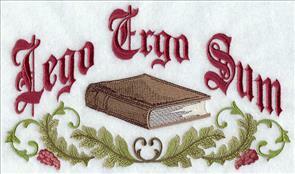 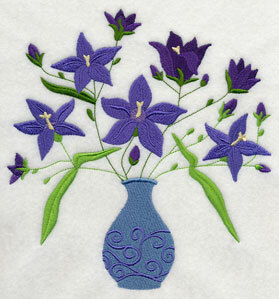 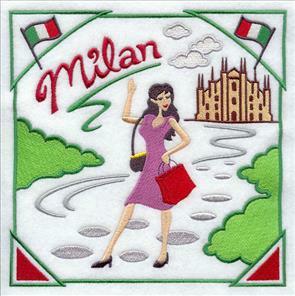 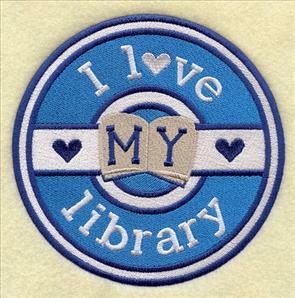 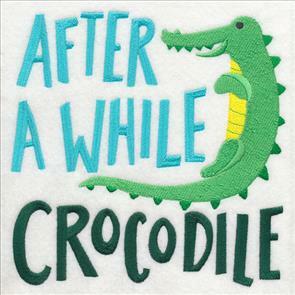 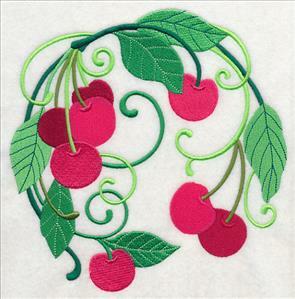 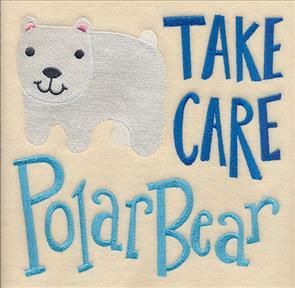 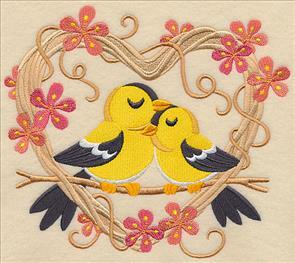 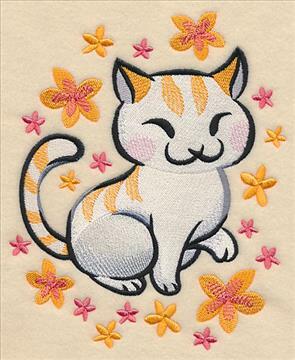 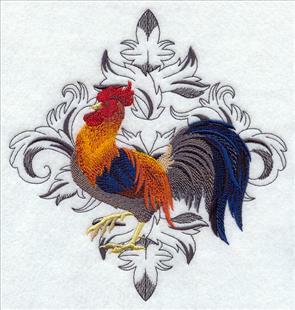 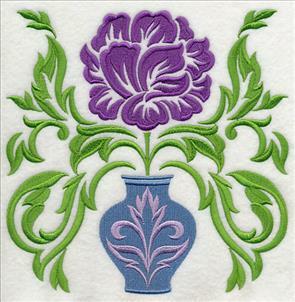 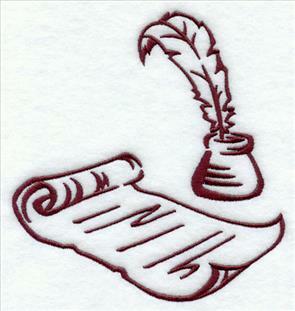 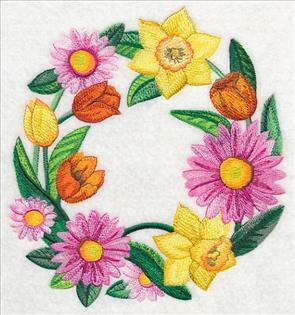 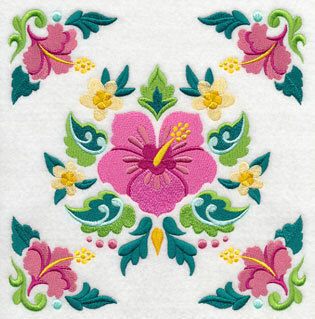 Embroidery Library artists and digitizers create each design with careful consideration to the stitch types that will be used. 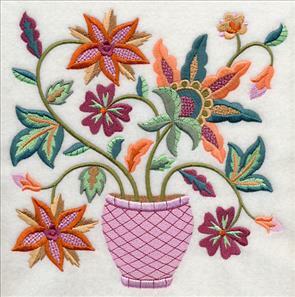 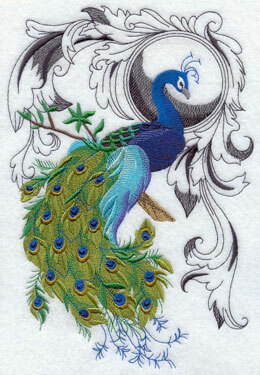 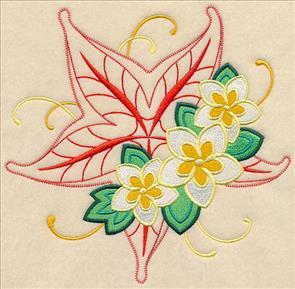 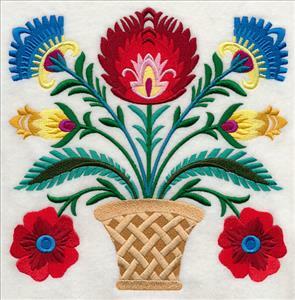 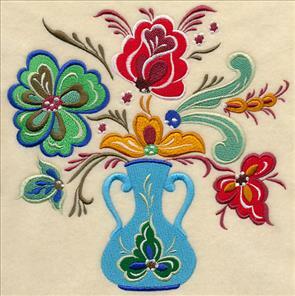 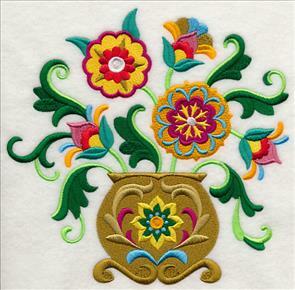 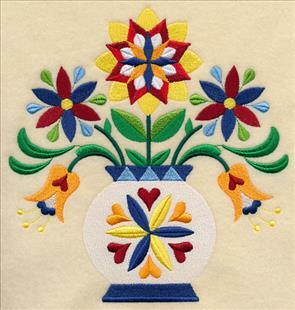 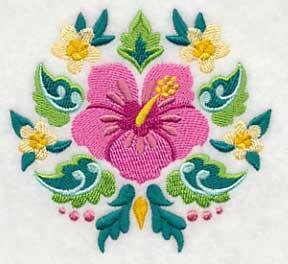 The variety, and the colors used, are two of the key ingredients in making embroidery extraordinary. 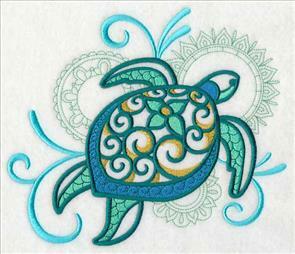 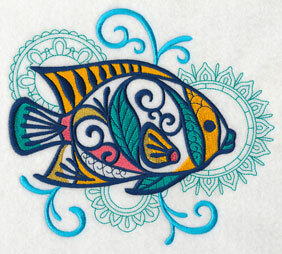 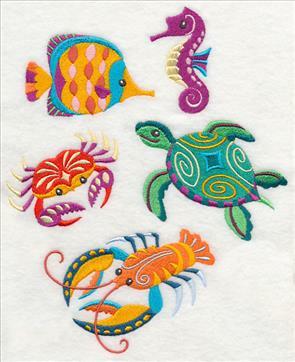 A tropical fish and a sea turtle have elegant detail of whirls and swirls. 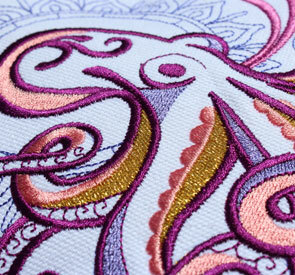 Blue filigree, reminiscent of splashes and waves, are paired with delicate Mehndi detail. 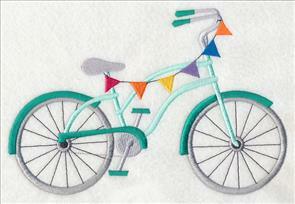 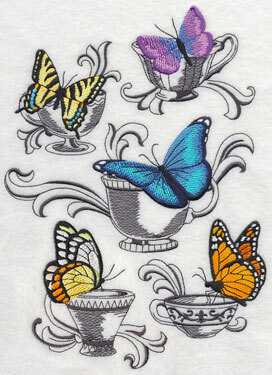 Add these designs to canvas or denim tote bags - and they're excellent for tea towels, too! 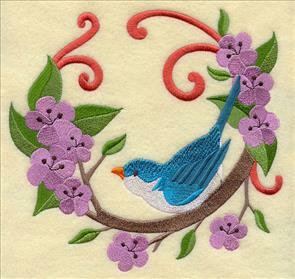 7.81" x 6.90" and 6.63" x 5.86" and 5.50" x 4.86"
Cheerful birds perch on flowering branches. 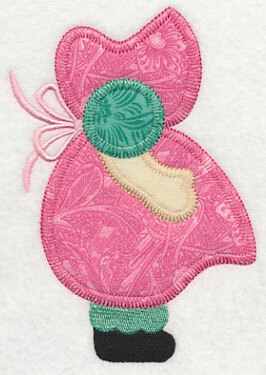 These designs were stitched in a contemporary and fashion-forward color palette. 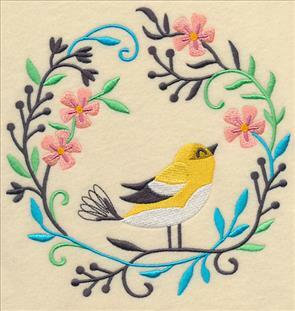 Black stems and leaves are paired with cool yellows and purples. 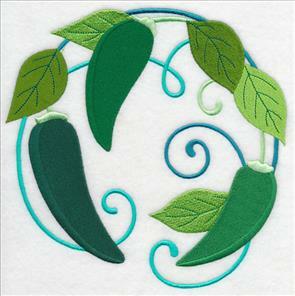 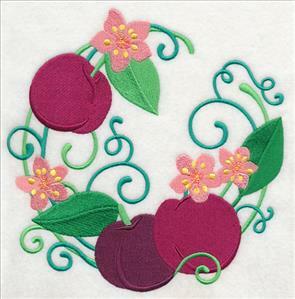 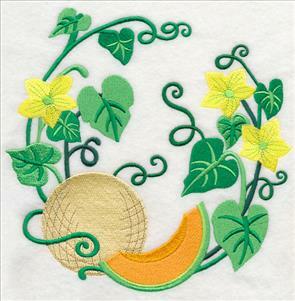 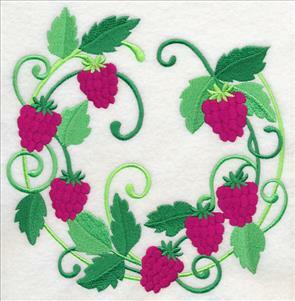 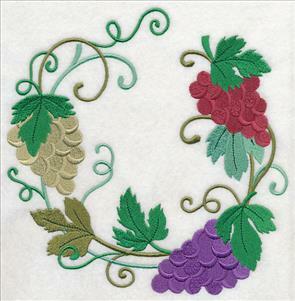 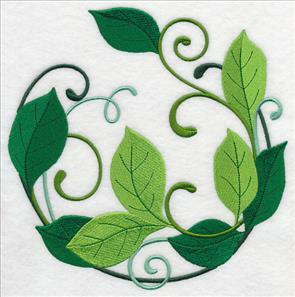 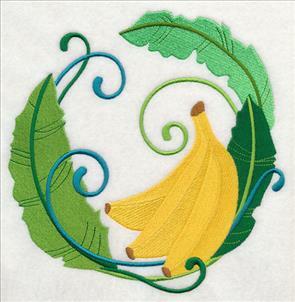 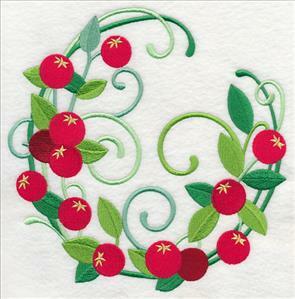 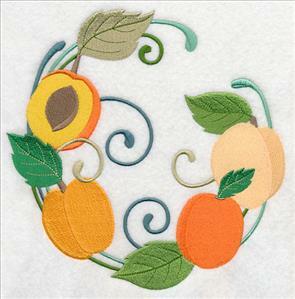 The circle shape is an excellent fit for tote bags, pillow covers, and round placemats. 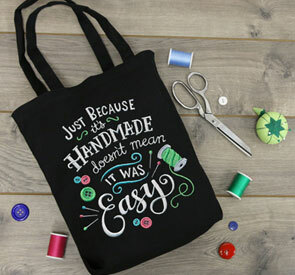 The new Lookbook is filled to the brim with tutorials for making tote bags, so you can make them to your own size and specifications. 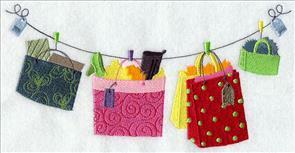 You might also find blank totes at craft stores and discount chains. 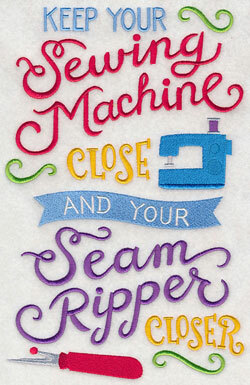 Use a seam-ripper to open up one of the side seams, and that's usually enough to be able to hoop the bag flat. 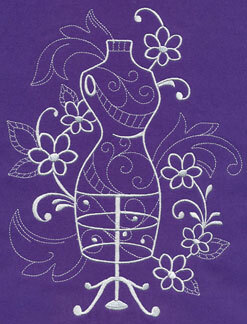 Use one piece of cutaway stabilizer when embroidering on tote bags. 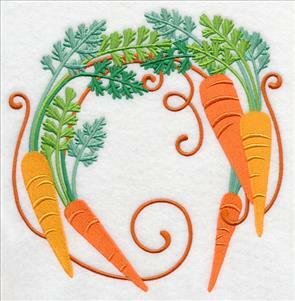 you wreathed in smiles! 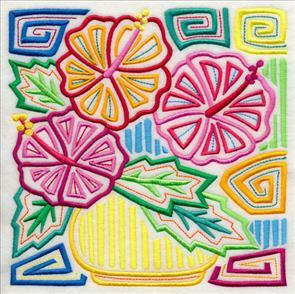 Add them to either side of a tote bag - and then stitch them onto cushions, summery mini-quilts, and table linens for outdoor dining. 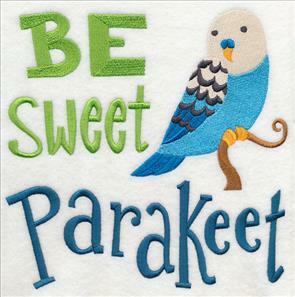 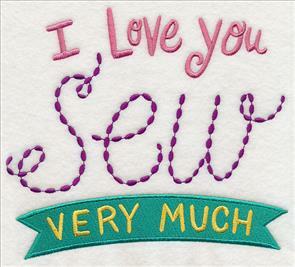 Sweet sentiments are perfect for tote bags. 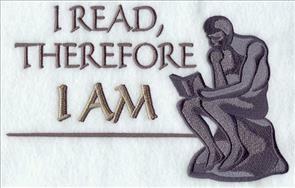 They're like bumper stickers, showing your philosophy and good spirit! 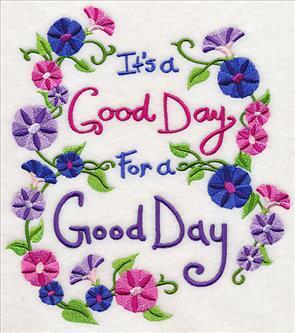 Positive, uplifting, and eye-catching. 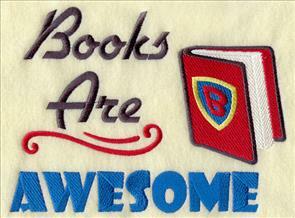 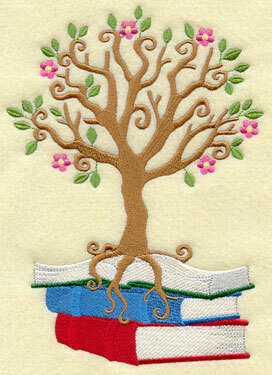 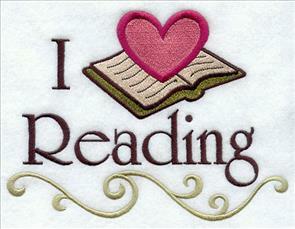 6.90" x 7.52" and 6.90" x 7.52" and 4.85" x 5.29"
Librarians, readers, and dreamers will adore these designs on bookbags. 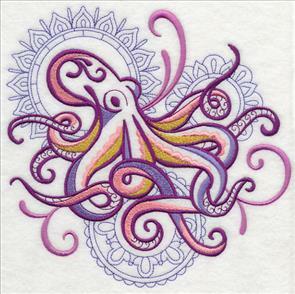 Experiment with colors to create an artful and unique look. 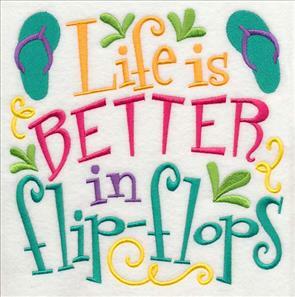 6.91" x 10.10" and 5.86" x 8.56"
5.33" x 7.80" and 4.69" x 6.85"
6.86" x 7.81" and 5.86" x 6.67"
4.82" x 5.48" and 3.39" x 3.85"
These designs are perfect for bookbags - but then make a pair of pillows for your favorite reading chair. 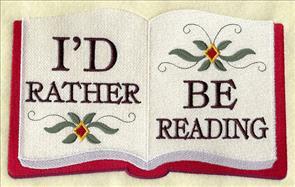 It'll be the coziest literary nook around! 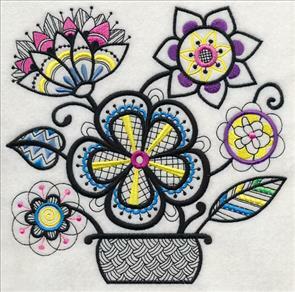 7.80" x 7.74" and 6.92" x 6.86"
5.91" x 5.86" and 4.89" x 4.86"
7.64" x 7.81" and 6.90" x 7.06"
In this example, black fabric was chosen to enhance the idea of "nighttime," or "bedtime." 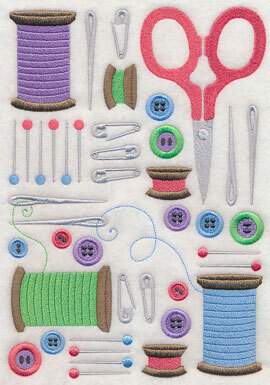 The colors of the thread are bright, but muted, bringing a sleepy feeling. 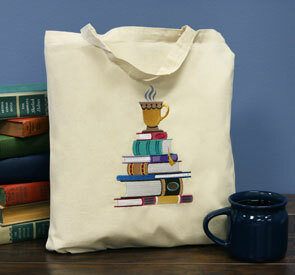 If giving this tote as a gift, add your favorite book and a reading light. 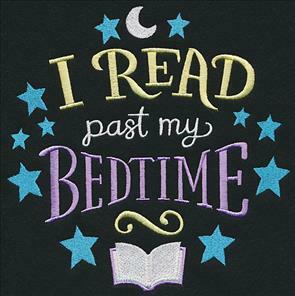 That present will be treasured forever! 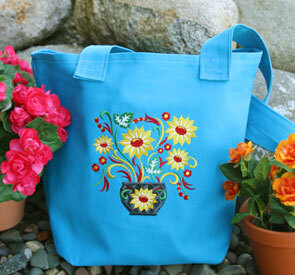 Sunflowers have an overwhelming spirit of cheerfulness, and they're a positive addition to tote bags. 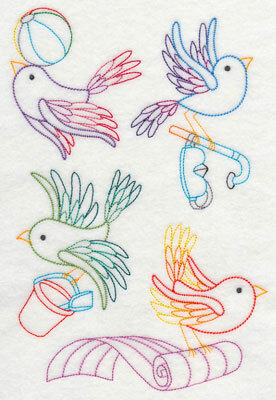 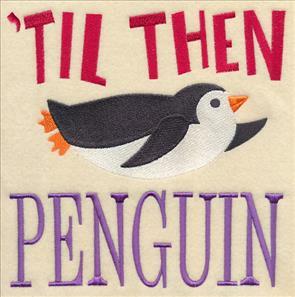 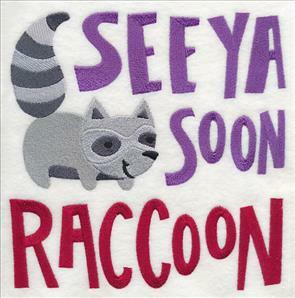 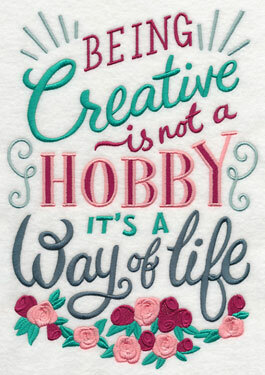 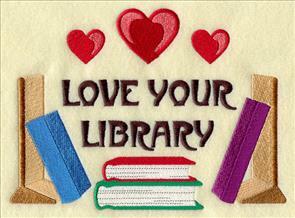 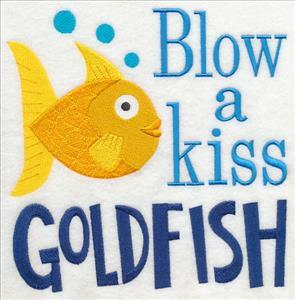 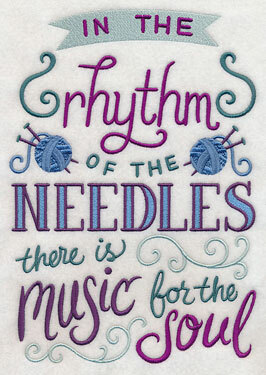 And, stitch it on mug rugs and tea towels, too! 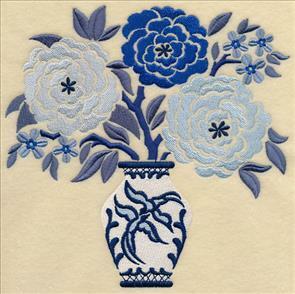 Hydrangeas are happy and resilient flowers, and the accompanying phrase is a positive reminder to have an attitude of gratitude. 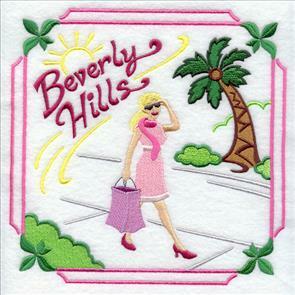 7.81" x 6.67" and 6.87" x 5.86"
5.69" x 4.86" and 3.86" x 3.30"
In addition to the new designs above, we've hand-picked more than 200 favorites from the collection that are a perfect fit for tote bags. 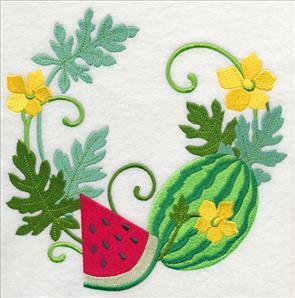 Scroll down the page to see the incredible variety: crafting, collages, flowers, birds, fruits, veggies, and more. 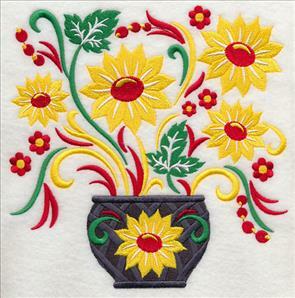 6.90" x 8.45" and 6.36" x 7.80"
6.90" x 9.13" and 5.86" x 7.75" and 4.80" x 6.34"
6.90" x 9.49" and 5.68" x 7.81" and 4.86" x 6.67"
6.90" x 8.51" and 6.32" x 7.80"
6.85" x 10.33" and 5.86" x 8.83"
6.91" x 8.71" and 6.20" x 7.81"
5.86" x 7.38" and 4.85" x 6.10"
7.83" x 7.80" and 6.87" x 6.85"
7.79" x 7.81" and 6.85" x 6.90"
5.86" x 5.89" and 4.84" x 4.86"
7.71" x 7.79" and 6.89" x 6.96"
5.82" x 5.88" and 4.83" x 4.89"
7.77" x 7.79" and 6.90" x 6.91"
7.79" x 7.45" and 6.13" x 5.86"
7.81" x 7.55" and 6.07" x 5.86"
5.00" x 4.83" and 3.75" x 3.62"
7.67" x 7.78" and 5.86" x 5.95"
7.80" x 7.67" and 5.95" x 5.85"
4.92" x 4.85" and 3.86" x 3.78"
7.58" x 6.86" and 6.43" x 5.81"
5.73" x 4.85" and 3.85" x 3.26"
7.76" x 6.72" and 6.73" x 5.82"
6.90" x 9.76" and 5.52" x 7.80" and 4.85" x 6.86"
11.75" x 5.82" and 9.40" x 4.65"
7.80" x 3.86" and 6.85" x 3.39"
7.11" x 6.85" and 6.08" x 5.87"
7.80" x 6.56" and 6.96" x 5.86"
5.78" x 4.86" and 3.85" x 3.24"
6.85" x 7.67" and 5.85" x 6.55"
6.90" x 8.99" and 5.85" x 7.63"
4.85" x 6.33" and 2.96" x 3.88"
4.98" x 11.67" and 4.00" x 9.40"
7.80" x 6.56" and 7.02" x 5.90" and 5.80" x 4.88"
6.90" x 11.12" and 5.84" x 9.42"
4.84" x 7.78" and 4.25" x 6.83"
6.85" x 10.58" and 5.87" x 9.06"
9.39" x 4.01" and 7.78" x 3.33" and 6.85" x 2.92"
9.41" x 4.78" and 6.86" x 3.49"
9.40" x 4.92" and 7.78" x 4.08" and 6.85" x 3.59"
When choosing designs to fill the space on a tote bag, squares and circles are excellent. 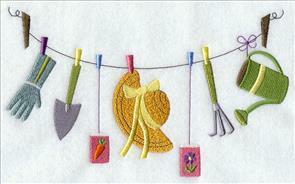 But clothesline designs are also a great shape. 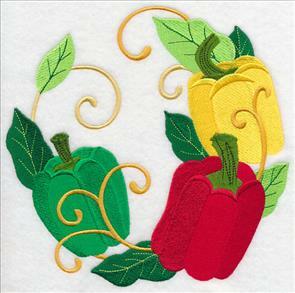 They're long and curved, and the colorful elements are a nice focal point on a tote bag. 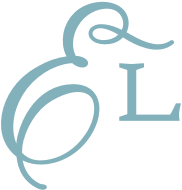 9.40" x 4.45" and 7.80" x 3.69" and 6.84" x 3.24"
9.40" x 4.93" and 7.80" x 4.09" and 6.87" x 3.61"
5.85" x 7.00" and 4.82" x 5.77" and 3.22" x 3.85"
4.81" x 6.28" and 2.94" x 3.86"
5.91" x 5.90" and 4.91" x 4.90"
7.80" x 7.65" and 6.90" x 6.77"
5.90" x 5.79" and 4.90" x 4.81"
This classic, traditional tote bag can be made out of canvas or denim. 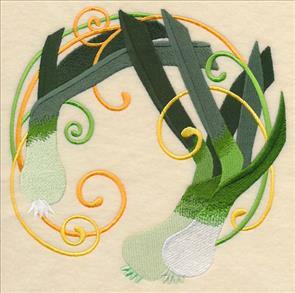 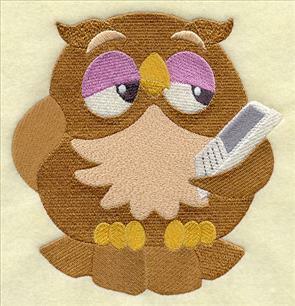 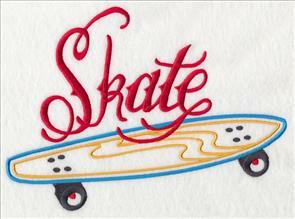 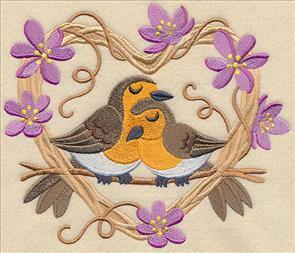 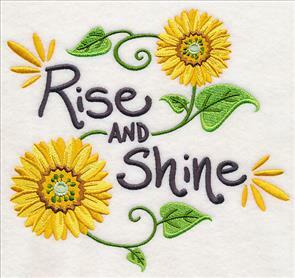 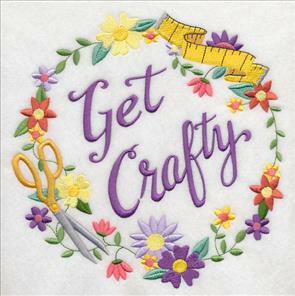 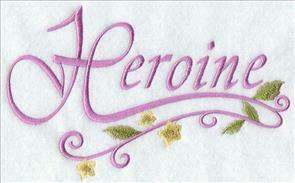 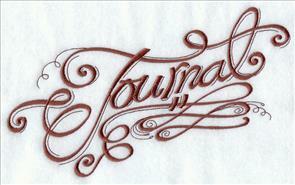 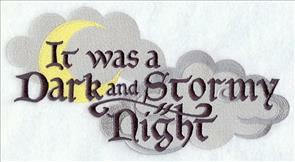 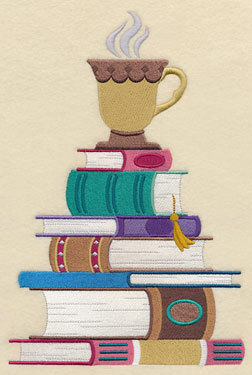 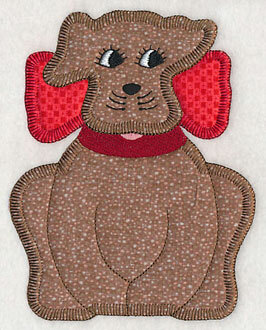 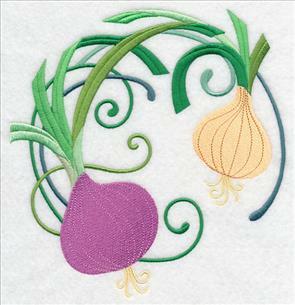 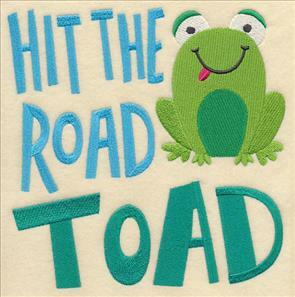 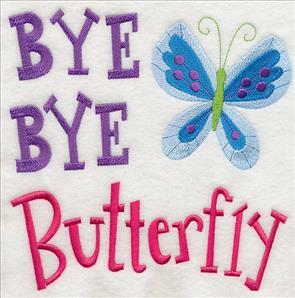 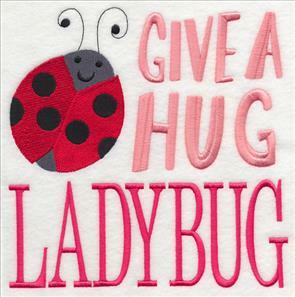 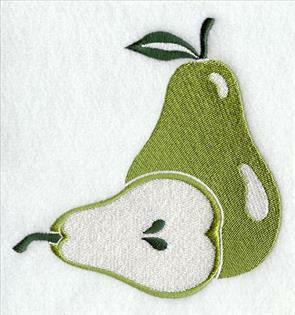 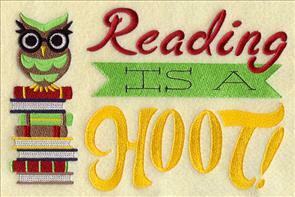 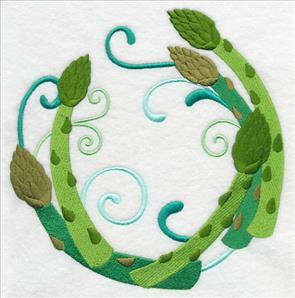 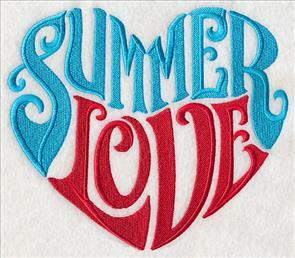 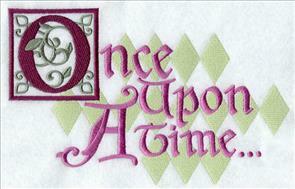 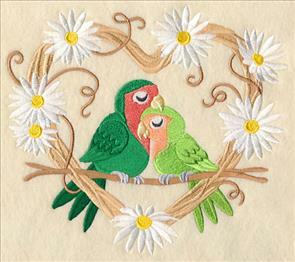 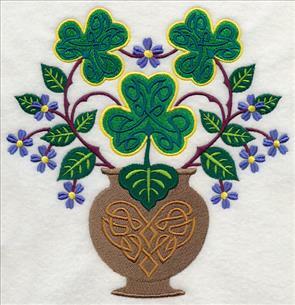 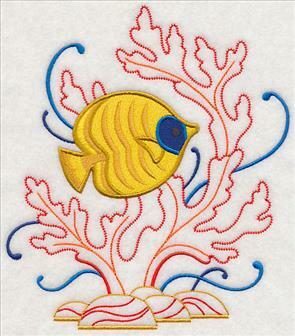 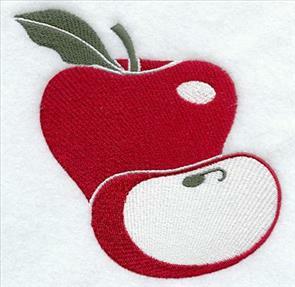 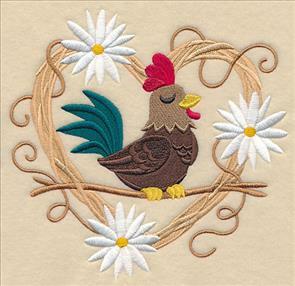 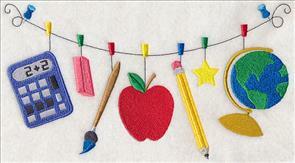 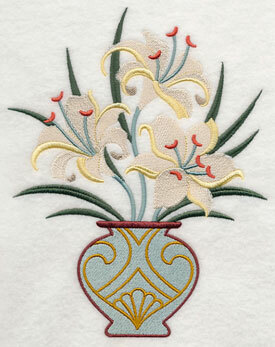 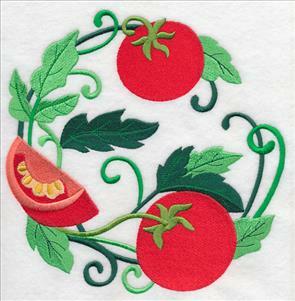 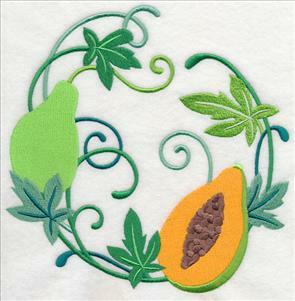 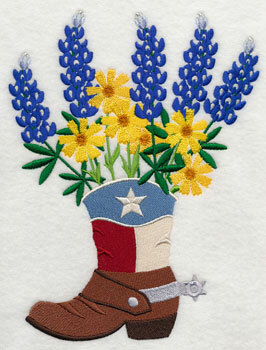 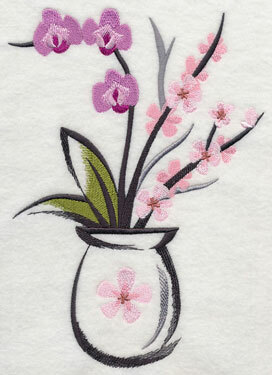 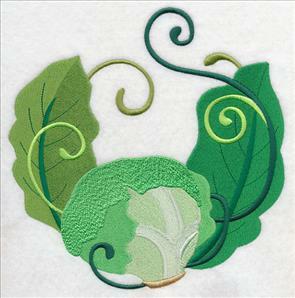 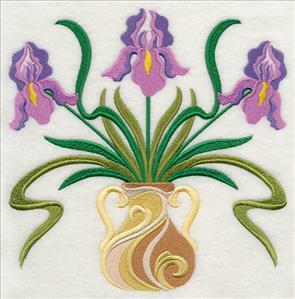 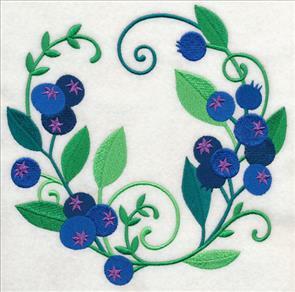 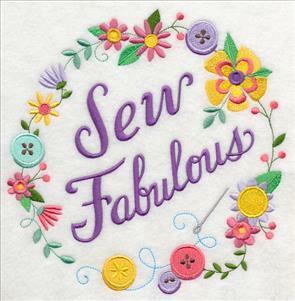 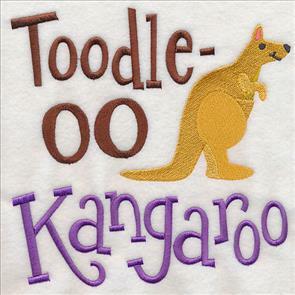 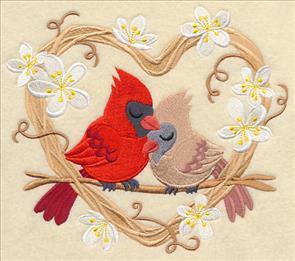 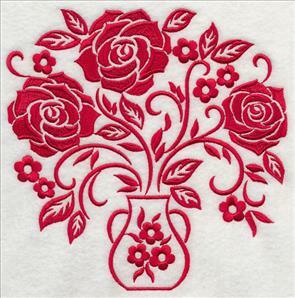 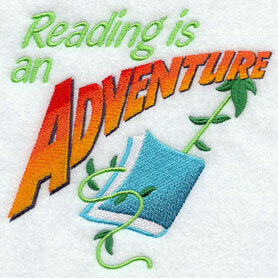 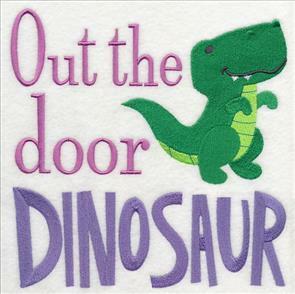 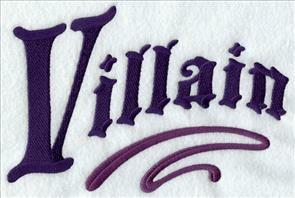 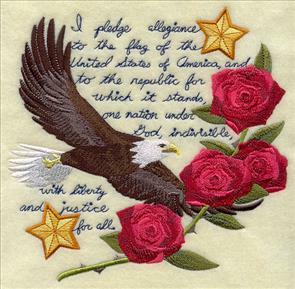 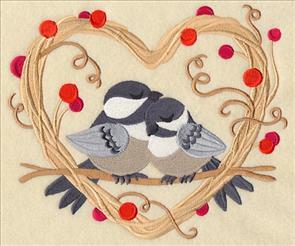 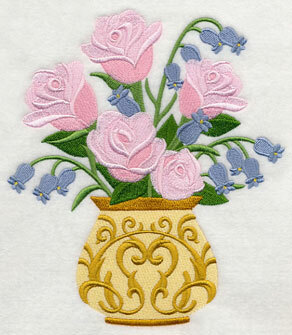 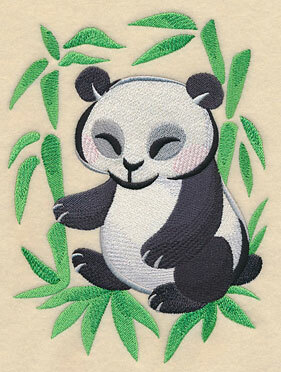 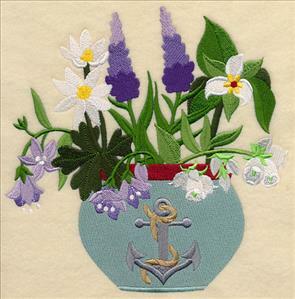 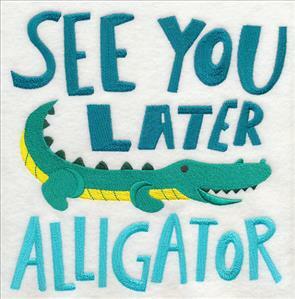 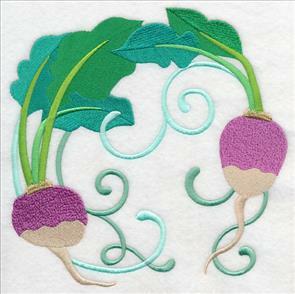 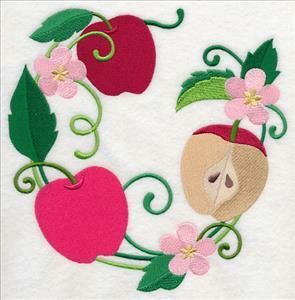 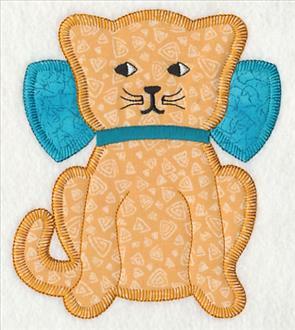 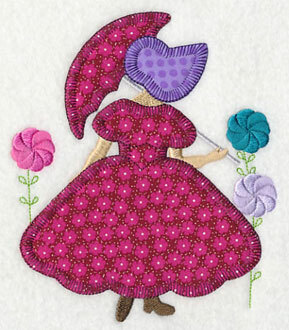 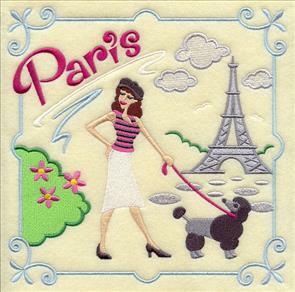 Add your favorite embroidery design for a one-of-a-kind creation! 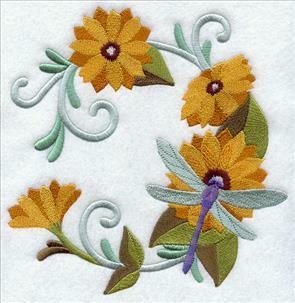 The written instructions are right here, and the free video tutorial is here. 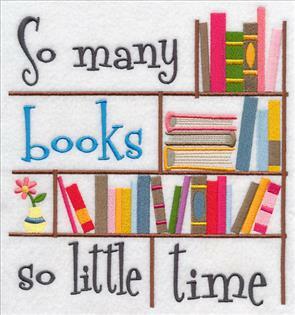 7.78" x 7.41" and 7.23" x 6.89"
6.16" x 5.86" and 5.11" x 4.87"
4.86" x 5.41" and 3.51" x 3.90"
5.86" x 5.85" and 4.90" x 4.89"
7.81" x 7.39" and 6.91" x 6.54"
5.86" x 5.55" and 4.86" x 4.60"
7.80" x 7.79" and 6.90" x 6.88"
5.85" x 5.83" and 4.85" x 4.84"
7.79" x 7.76" and 6.93" x 6.90"
5.86" x 5.83" and 4.90" x 4.88"
5.87" x 5.87" and 4.86" x 4.86"
7.80" x 7.57" and 6.91" x 6.70"
5.86" x 5.68" and 4.86" x 4.71"
5.87" x 5.85" and 4.88" x 4.87"
7.80" x 7.66" and 6.90" x 6.78"
5.85" x 5.75" and 4.85" x 4.76"
7.48" x 7.81" and 6.90" x 7.20"
5.86" x 6.11" and 4.82" x 5.03"
6.89" x 8.65" and 6.21" x 7.80"
5.86" x 7.36" and 4.87" x 6.11"
7.81" x 7.69" and 6.91" x 6.80"
5.91" x 5.82" and 4.90" x 4.83"
7.78" x 7.80" and 6.90" x 6.91"
7.80" x 7.82" and 6.91" x 6.92"
5.87" x 5.88" and 4.85" x 4.87"
7.78" x 7.80" and 6.91" x 6.94"
5.86" x 5.88" and 4.86" x 4.88"
6.90" x 8.96" and 5.89" x 7.66"
7.61" x 7.80" and 6.90" x 7.07"
5.85" x 6.00" and 4.81" x 4.93"
6.80" x 7.80" and 5.86" x 6.73"
7.80" x 7.73" and 6.90" x 6.84"
7.80" x 7.51" and 7.17" x 6.90"
6.08" x 5.85" and 5.05" x 4.86"
7.81" x 7.28" and 7.39" x 6.90"
6.32" x 5.90" and 5.24" x 4.90"
7.81" x 7.39" and 7.30" x 6.90"
6.19" x 5.85" and 5.13" x 4.85"
7.59" x 7.79" and 6.89" x 7.07"
5.89" x 6.04" and 4.86" x 4.99"
6.65" x 7.81" and 5.85" x 6.84"
6.90" x 7.78" and 5.86" x 6.61"
4.82" x 5.44" and 3.42" x 3.85"
7.40" x 7.80" and 6.90" x 7.28"
5.89" x 5.88" and 4.88" x 4.88"
6.91" x 7.60" and 5.88" x 6.46"
4.86" x 5.34" and 3.51" x 3.86"
5.79" x 7.80" and 4.86" x 6.54" and 2.86" x 3.86"
5.86" x 7.61" and 4.84" x 6.28" and 2.97" x 3.86"
6.90" x 10.95" and 5.89" x 9.40"
Denim and canvas are excellent fabrics to use when making tote bags. 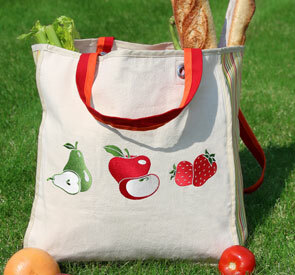 They're study and durable, so bags made with them will last for a very long time. 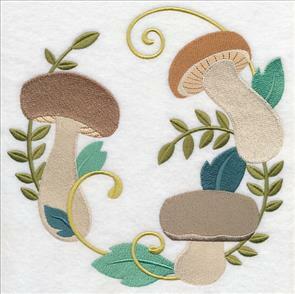 Those types of fabrics can also support designs of varying complexities. 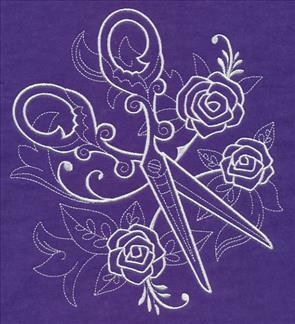 Choose simple designs, or complex ones, like the umbrella shown left. 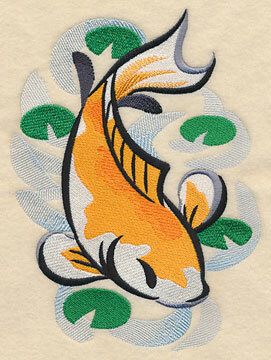 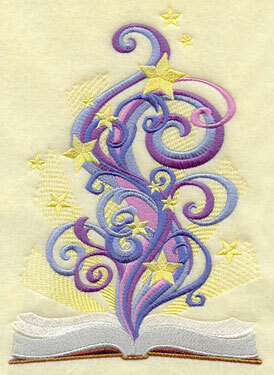 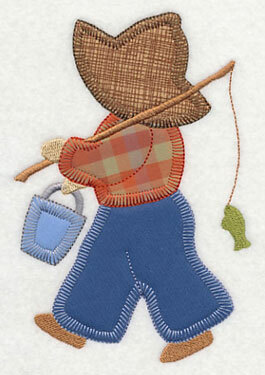 When embroidering on denim or canvas, hoop the fabric with one piece of cutaway stabilizer. 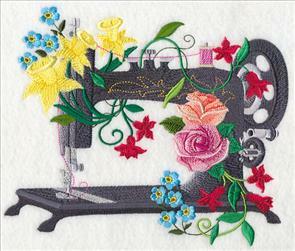 A size 11 sharp sewing needle works very well to penetrate the fabric fibers neatly and cleanly. 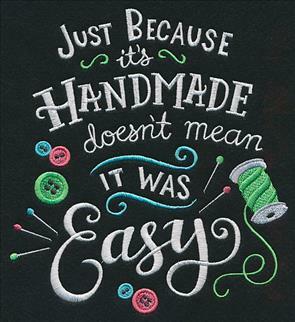 6.90" x 8.53" and 6.32" x 7.81"
6.91" x 9.29" and 5.81" x 7.81"
4.86" x 6.53" and 2.87" x 3.87"
Chalkboard art is a top-trending style in embroidery. 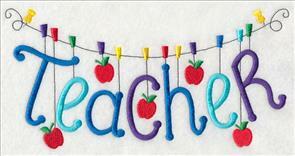 Stitch the designs onto black fabric to emphasize the chalkboard look! 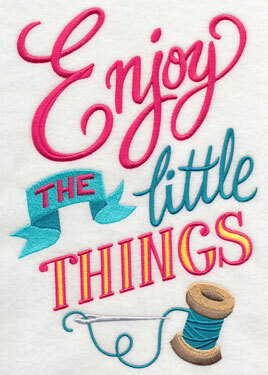 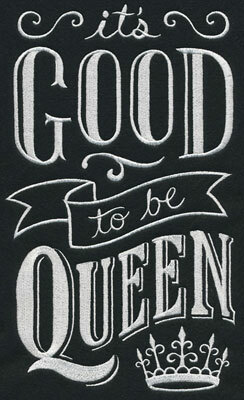 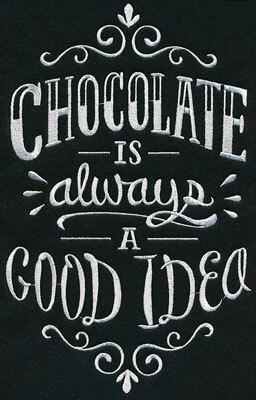 These types of designs have energetic and fun lettering styles, and the quotes are uplifting and sweet. 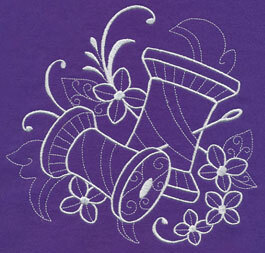 Some chalkboard designs use only one color, making them quick to stitch. 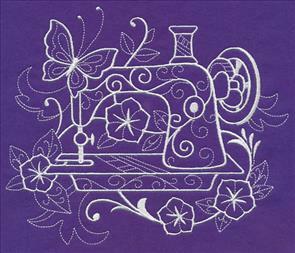 Others have bright pops of color - like the thread spools and buttons in the designs to the left - for extra eye-catching appeal. 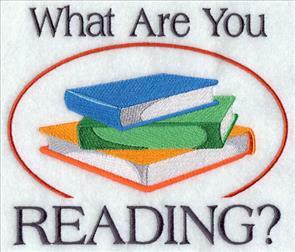 7.14" x 7.00" and 6.00" x 5.87" and 4.96" x 4.87"
5.87" x 5.86" and 4.86" x 4.84"
7.78" x 7.80" and 6.90" x 6.93"
5.85" x 5.88" and 4.83" x 4.85"
5.86" x 5.86" and 4.84" x 4.85"
7.80" x 7.62" and 7.05" x 6.90"
5.99" x 5.86" and 4.95" x 4.84"
5.86" x 5.88" and 4.85" x 4.86"
5.87" x 5.85" and 4.86" x 4.85"
5.90" x 5.85" and 4.87" x 4.83"
5.86" x 5.89" and 4.84" x 4.87"
7.79" x 7.79" and 6.90" x 6.90"
7.80" x 7.78" and 6.93" x 6.90"
Nylon screen is a unique fabric to use in tote bags. 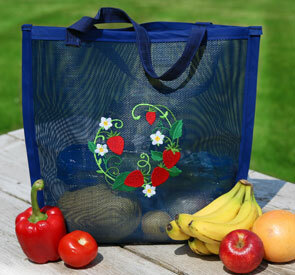 It's especially nice for toting around produce from the grocery store or farmers market. 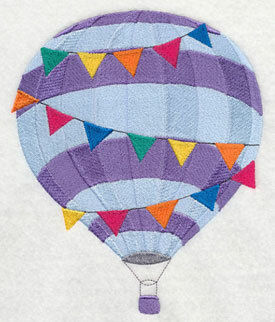 The Nylon Screen Tote Bag tutorial shows the steps for working with this fabric and making the bag. 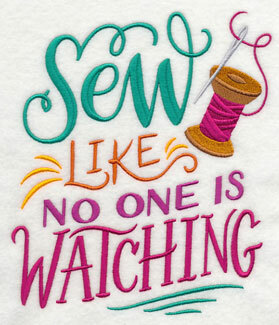 And, there's a free video, too! 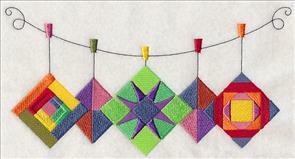 5.86" x 5.88" and 4.84" x 4.85"
5.90" x 5.88" and 4.88" x 4.86"
5.85" x 6.07" and 4.85" x 5.02"
4.86" x 4.90" and 3.84" x 3.86"
The Go Green Grocery Tote tutorial pairs eco-consciousness with fashionable flair. 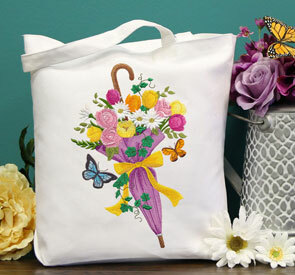 Embroider delicious designs onto canvas, then follow the steps in the tutorial to make a big, roomy reusable tote. 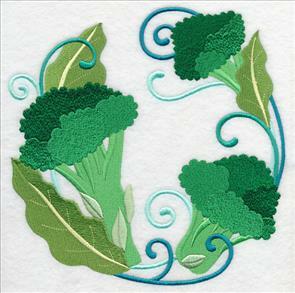 The addition of foam board at the bottom results in a sturdy base, nice for supporting those big trips to the grocery store. 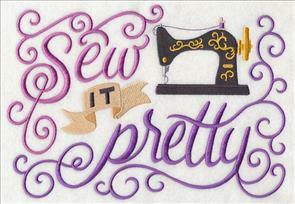 4.12" x 6.86" and 2.32" x 3.85"
4.69" x 6.01" and 3.94" x 5.05" and 3.05" x 3.90"
4.16" x 6.03" and 3.47" x 5.02" and 2.70" x 3.90"
7.81" x 3.70" and 6.85" x 3.26"
Dancers and dreamers of all ages will adore this tutu tote bag! 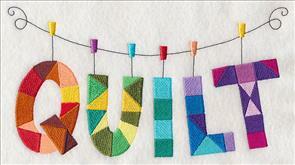 Free project instructions are right here. 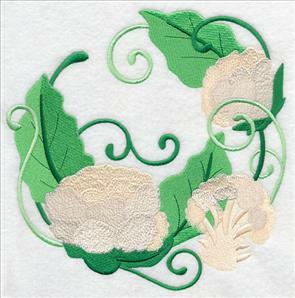 Organza and tulle are excellent fabrics to use to make the tutu. 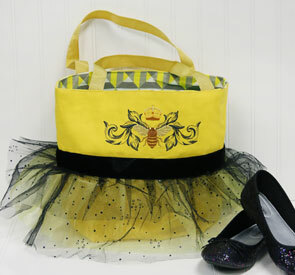 We chose yellow and black fabrics to match the bee design. 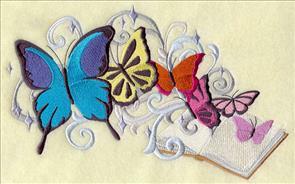 Enjoy experimenting with other designs and color combinations! 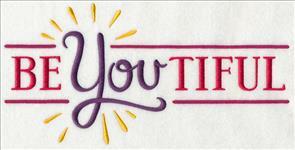 7.00" x 10.42" and 5.85" x 8.68"
7.00" x 7.49" and 5.86" x 6.24" and 4.85" x 5.18"
Cleaning up after playtime can be a fun chore. 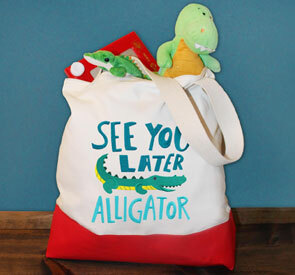 Give your toddler a tote and make a game of putting the books and toys away. 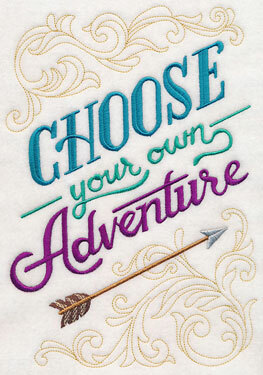 Little ones will enjoy choosing their favorite designs for you to stitch on the tote bag, too. 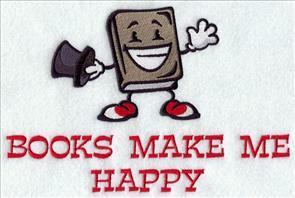 6.90" x 10.22" and 5.85" x 8.67"
7.32" x 7.79" and 6.88" x 7.32"
5.87" x 6.25" and 4.87" x 5.19"
Readers and writers will love bags stitched with literary wisdom and book motifs. 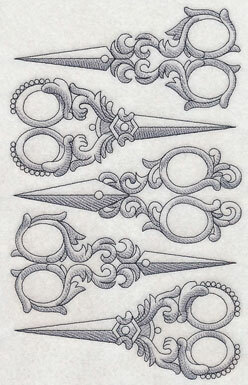 An excellent selection of designs is above and below. 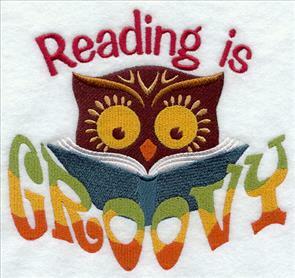 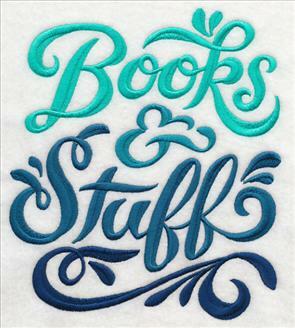 Stacks of books and fun quotes are lively on totes (and pillows for your reading chair, too). 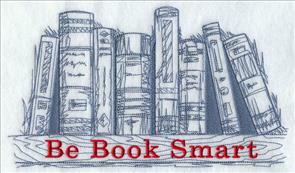 Slip your favorite book inside the bag as an extra-special gift. 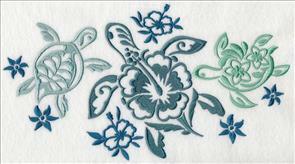 8.95" x 5.87" and 6.84" x 4.48" and 3.87" x 2.50"
9.42" x 5.37" and 6.84" x 3.88" and 3.82" x 2.18"
7.66" x 5.82" and 6.34" x 4.81" and 3.88" x 2.95"
5.82" x 6.23" and 4.80" x 5.15" and 3.61" x 3.87"
8.55" x 5.26" and 6.81" x 4.21" and 3.86" x 2.41"
5.80" x 8.23" and 4.85" x 6.86"
9.40" x 4.93" and 6.84" x 3.61" and 3.85" x 2.02"
9.12" x 5.86" and 6.86" x 4.40"
6.24" x 5.84" and 5.16" x 4.84" and 3.86" x 3.64"
Books Make Me Happy What Are You Reading? 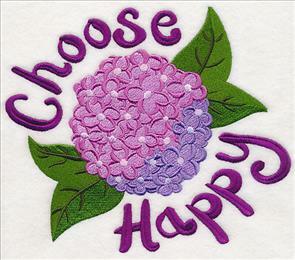 6.83" x 5.82" and 5.65" x 4.83" and 3.87" x 3.28"
6.11" x 5.86" and 5.05" x 4.83"
9.41" x 5.58" and 6.88" x 4.10" and 3.88" x 2.31"
9.33" x 4.27" and 6.81" x 3.11" and 3.85" x 1.78"
9.34" x 5.76" and 6.88" x 4.23" and 3.88" x 2.45"
8.22" x 5.51" and 6.81" x 4.60" and 3.86" x 2.63"
6.39" x 5.86" and 5.28" x 4.86" and 3.86" x 3.55"
7.82" x 7.82" and 6.88" x 6.88"
7.82" x 7.81" and 6.88" x 6.87"
5.87" x 5.87" and 4.87" x 4.87"
7.25" x 7.81" and 6.90" x 7.42"
5.82" x 5.82" and 4.87" x 4.87"